Bad Credit Car Loans Explained — Auto Expert by John Cadogan - save thousands on your next new car! Contact me here >> (or use the contact form just over there on the right) and I'll put you in touch with a specialist bad credit finance professional who can assist your application in a fair and non-judgemental way. This will boost your chances of approval by ensuring you meet key lending criteria and submit a rock-solid application. Lenders are looking for reasons to approve your application - because their business is lending money, not rejecting applications - and all you need to do is demonstrate that you are a sound candidate for a loan. Securing a bad credit car loan is easier than you think. People have financial difficulties all the time, and it’s common to need car finance after such a bad credit speed hump. Most reputable lenders have a procedure for approving credit applications from people with a poor credit rating. 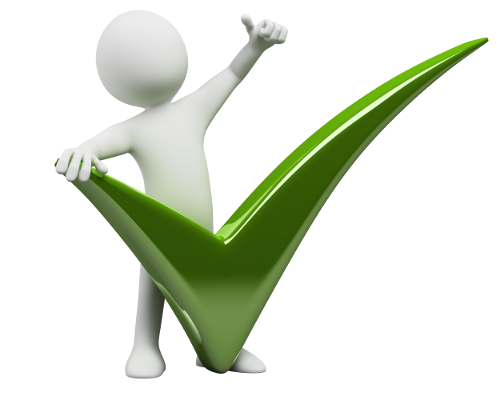 Provided your application demonstrates that you meet the required key approval criteria, your application will be successful. You might need to do a little groundwork to lay the foundations for success. Below is some basic information on getting a bad credit car loan approved. Go to www.veda.com.au to find out more information about accessing your credit file. This is the place to start. See what issues have been raised, and by whom, and contact them if you think an error has been made. If there are unpaid debts, contact the parties involved and see what can be done to resolve them. If you don't have the funds available, perhaps the group(s)you owe will be prepared to enter into a payment plan to resolve the debt. Most organisations will act reasonably if you demonstrate a willingness to resolve the debt. Interest rate is in part a reflection of risk: the higher the risk perceived by the lender, the higher the rate. If you have bad credit, you will not be offered the sharpest rates available in the market. What you can do, however, is borrow less than the maximum you can hypothetically afford. Pay back more than the minimum payments. This will cut the total interest bill over the term of the loan and also help you repair your credit file. Your loan application will be cross-checked, and the degree of scrutiny is high. Kyle Rhys from www.badcreditcarloan.com.au says it’s a mistake to lie or omit key details from your application. “Honesty is so important,” he says. “Sometimes people lie to improve the perception of their financial dealings or position, but it is always better to be honest and complete in your application because any anomalies will certainly get picked up, and lies destroy any trust a prospective lender needs to approve your request for credit. Your bank records are an essential part of any credit application. If you can demonstrate that you live within your means – by spending less than you earn – then a prospective lender will view that as excess income capacity that can be used to service a car loan. If you can save regularly – even if it is only a small amount each week – this will be viewed favourably by the person assessing your application. You need to demonstrate that you can meet your current financial obligations. For starters, do not allow your bank account to become overdrawn. Pay particular attention to leaving sufficient funds in your account to service any regular automatic deductions that come out of your account. Also, make sure you make all payments on time for current credit cards and loans. In the case of credit cards, pay more than the required minimum monthly payment. Your statements on these accounts need to demonstrate that you take your repayment obligations seriously, and that you have the income capacity to do so. Employment means income, and income equals the capacity to service a debt. Your employment history will be assessed. In the case of casual employees, you need to demonstrate ongoing regular work in the one job – probably for a year or more. In the case of full-time and part-time employees, it is essential to demonstrate a track record of reliable employment, and you will need to have worked in your current job beyond any probationary period. Lenders value stability, so an employment history that demonstrates long periods of employment with each job lasting a significant term will be much more of an asset than an employment history containing significant gaps, and with many short engagements and a lot of different employers. Another barometer of stability is where you live. Lenders view your application more favourably if you tend not to move house a lot. It might seem a bizarre measure of stability, but it does count. A finance professional will help you complete your application in a manner designed to maximize your chances of success. Often, people with bad credit have their applications rejected not because they themselves are unworthy of the loan, but because their application does not meet the key criteria required to ensure approval. Often, applicants are trapped in a cruel cycle where they submit several critically flawed applications, only to have them rejected repeatedly. In this situation they incorrectly believe that if they persist, one such application might ‘get lucky’. It won’t. Finance professionals are affordable experts who are highly motivated to see your application succeed – using one could be the best decision you make today. Fill in the form here >> and I will put you in touch with a reliable, ethical finance professional who can assist you in getting your car loan application approved - no matter what your credit file looks like.